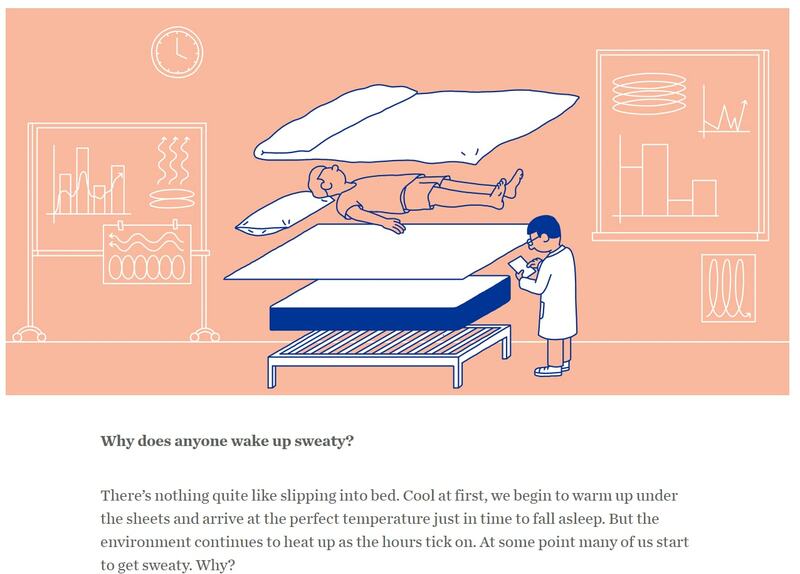 Well, this actually happened to Manhattan-based sleep startup Casper. You see, every once in a while, a unicorn ecommerce company comes along like this Casper. Pay careful attention. Because the ability to take an idea and turn it into a concept you can SELL is by far the most wonderful money-making skill you could ever hope to acquire. If you master this skill you should never again have to worry about money. This is something Casper has clearly got a firm grip of and is using this skill to revolutionise the mattress industry. 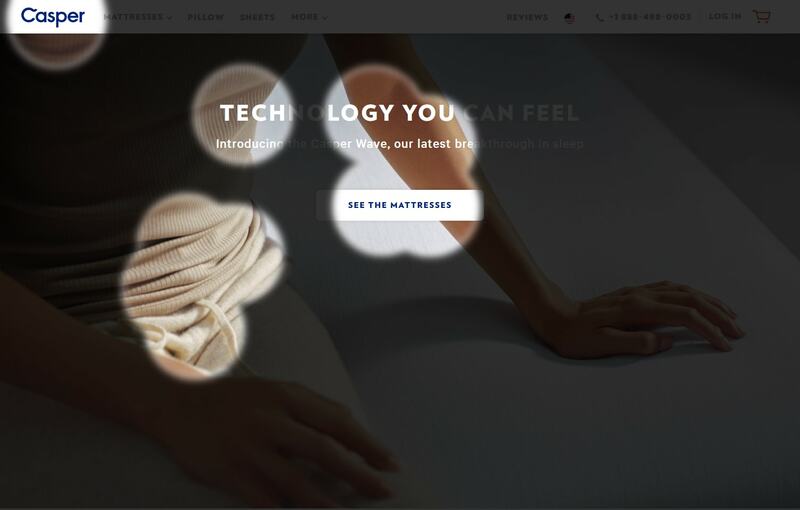 Since its creation in 2014, the “sleep startup” has positioned itself as a disruptor in an industry that sees an estimated AU$17.6 billion in annual turnover. In three years, the company has grown to amass AU$250 million of annual revenue. And that number is growing even faster in 2017. 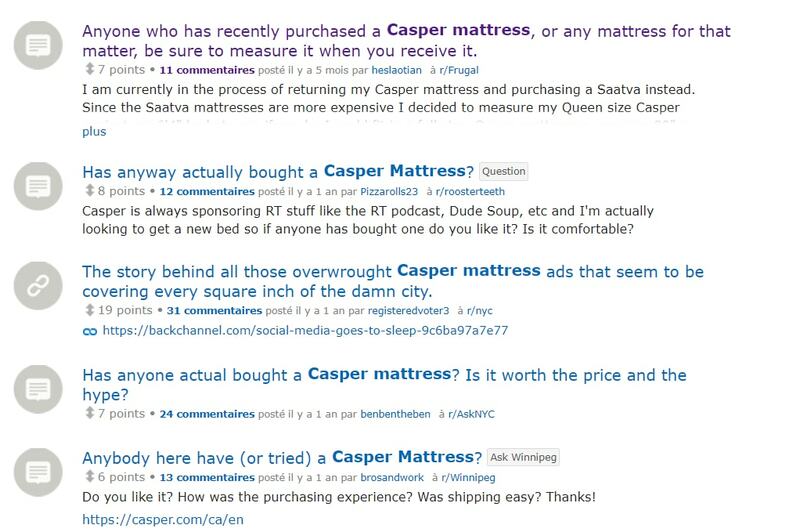 Before Casper was born, no one had ever thought about developing an ecommerce mattress business. In many people’s minds it’s obvious that before buying a mattress, customers want to try it. Is there really a better way to buy a mattress than walking into a mattress store and lying on it? But let’s approach the problem from a different angle. Is it smart to choose a mattress that you’re going to spend a third of your life on after trying it for 15 seconds in your street clothes? And it seems crystal clear, once you think about it. So Casper comes up with an awesome idea. Deliver the mattress directly to people’s homes and let them try it out for themselves for 100 days. If you don’t love it, you can return the mattress for free with a full refund. Casper will even pick it up from their homes again! That is what we call an irresistible offer. They are reversing ALL the risk for the consumer. And have a powerful guarantee to back it all up. So Casper had to make sure of one thing: their product had to be pretty darn good. And not only the product, but the experience around the product as well. 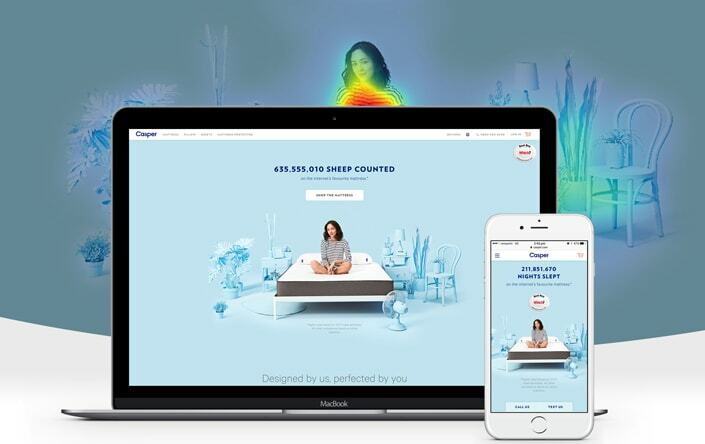 Because the traditional experience of buying a mattress is one of the worst shopping experiences, Casper set themselves out on a mission to make buying mattresses enjoyable. And it all starts with good marketing. 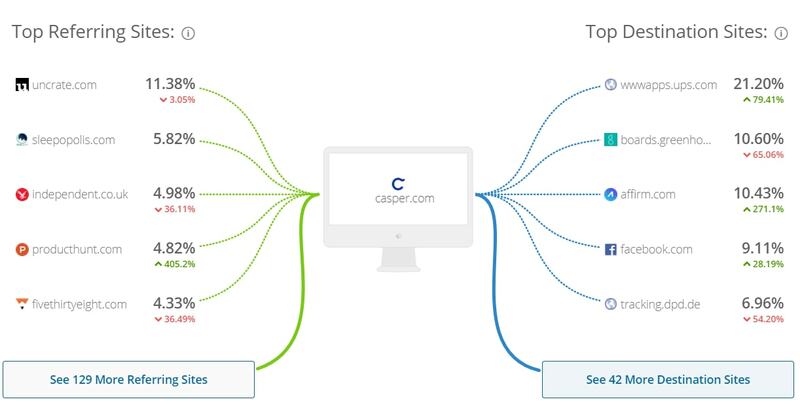 In this article, we are going to go over Casper’s online marketing strategy and uncover how they have built their brand around two very important factors: simplicity and customer-centricity. But before we start, think about this. So why should we still go to a store to buy our mattress? Casper has built its brand on customer experience. The company has set a goal to become the best mattress company in the world by enhancing the experience of buying a mattress, one of the most unpleasant experiences of all. 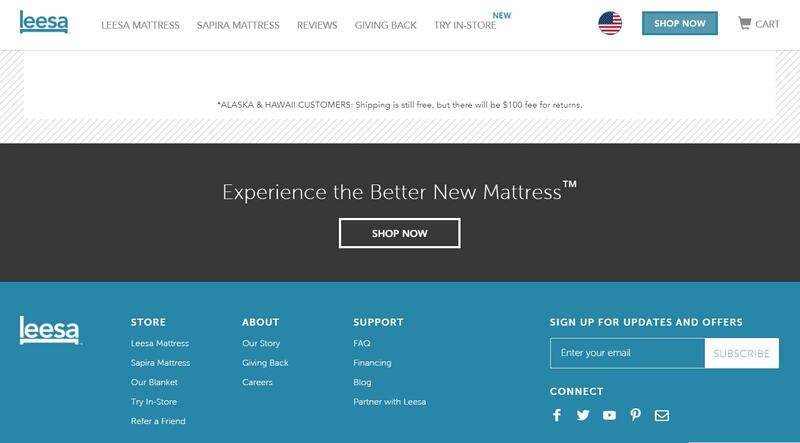 For the first time, a mattress can be bought directly from the company without a middle man. Online, a great user experience starts with a great website. 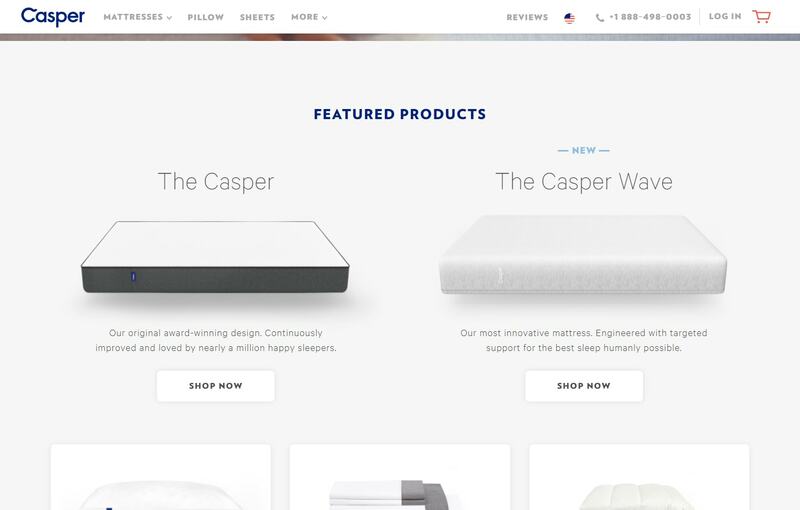 And Casper has created an awesome online experience for mattress buyers. So let’s start our analysis with Casper’s UX. Casper’s website is the best part of what they do online. 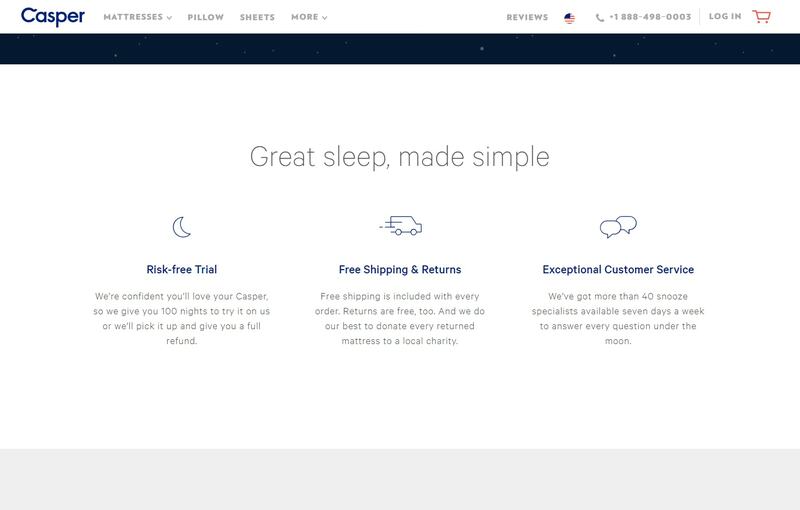 Based on their business model, the website is designed to make it as easy as possible to buy a mattress and get it delivered ASAP. 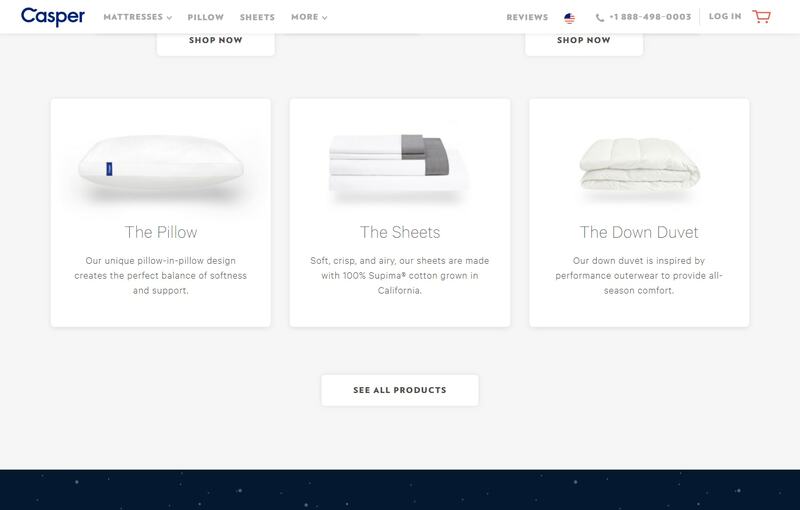 Since Casper only sells 2 mattresses, users don’t need to spend a lot of time choosing their product, adding simplicity to the experience. Many mattress companies allow customers to choose between X amounts of firmness, softness, or whatever sleeping metric they use that no one understands anyway. Casper only has one product. Take it or leave it. Let’s go through the customer journey together and analyse the design of the website. Casper’s home page is as simple as it gets. 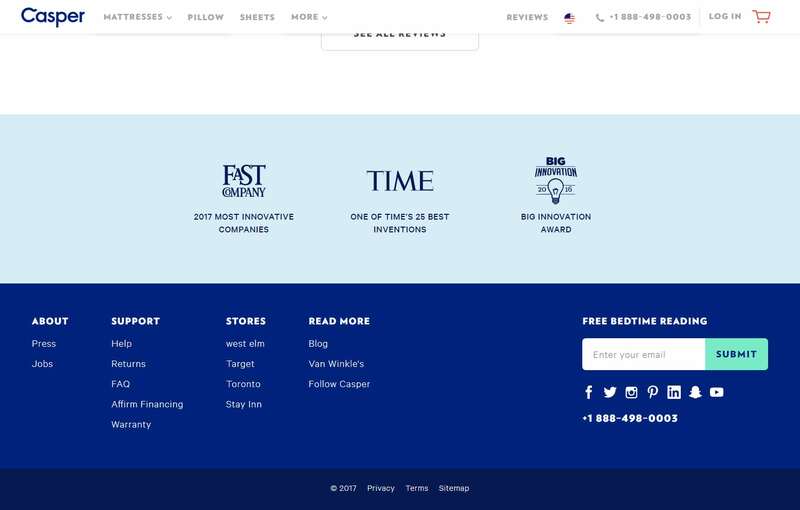 Keeping it clean, with a beautiful background image and a clear call to action button prompting the user to interact with the website and learn more about the company’s products. The background image is very well chosen. It projects a sense of well-being, serenity, and quality. The call to action button colour has a minimalistic feel, but could be improved by changing it to a dark blue (as on other pages) to make it stand out more. Above the fold, the home page is very clearly designed to focus the attention of the user towards the text and the call to action button, prompting users to take action on the page. 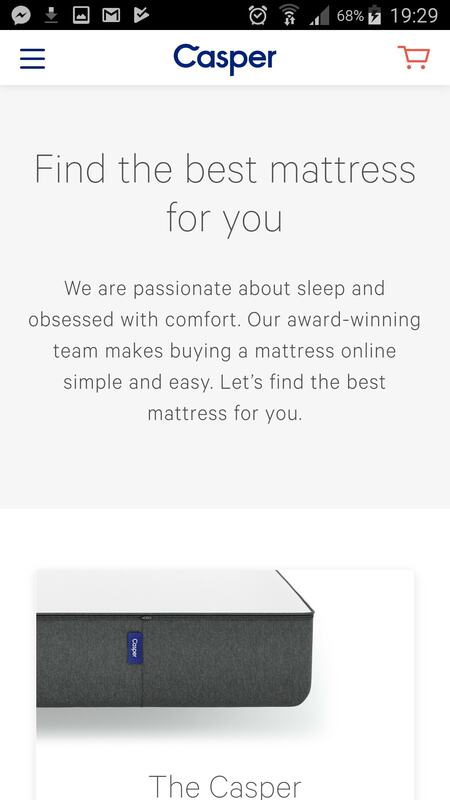 Scrolling down the page instead of clicking on the “See the mattress” button actually produces the same result. The mattresses are still the first things I see. Presenting the product is core to Casper’s model. As an ecommerce mattress company, it is important to present the products as being the best product available on the market. In addition to their exceptional delivery service, Casper ensures a great overall customer experience. The descriptions of their mattresses are very powerful and provide trust. 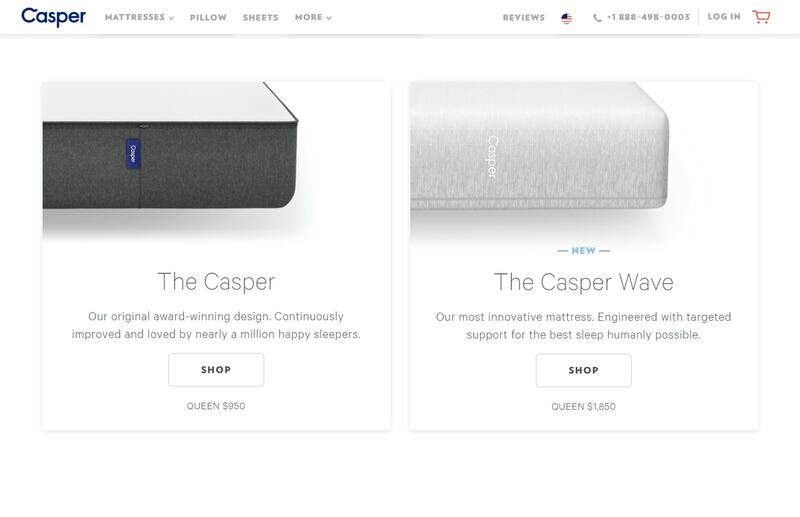 Use of power phrases such as “award-winning design”, “continuously improved”, “most innovative”, “engineered”, “best sleep humanly possible” push the fact that Casper is a technology company with the goal of creating the best mattress for its customers. The Bi-product section is not just another product show-off. 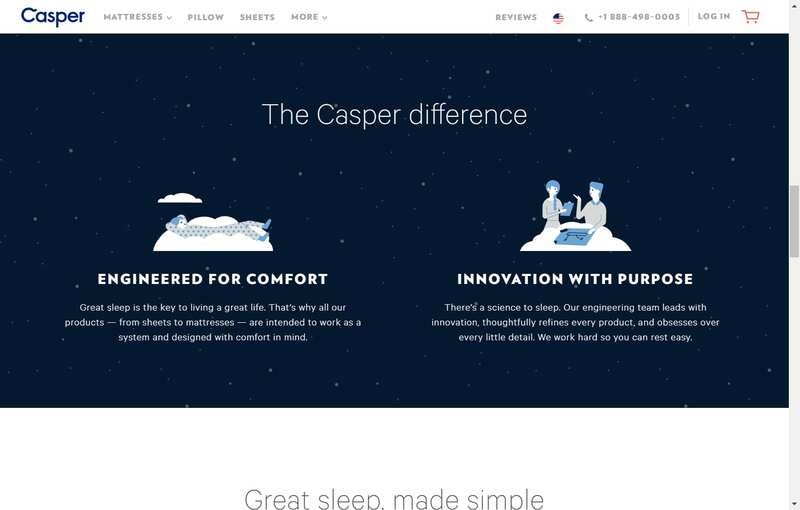 It shows that Casper is much more than a mattress company. It’s a sleep company. This idea of a sleeping company is not something that traditional mattress companies fit. Most of these will stick to creating a great variety of mattresses, whereas Casper changes the game by also creating their own pillows, sheets and other products that evolve around sleep. That Casper is not only a mattress company. It’s an innovative tech company that wants to provide people with a full sleeping experience. Not only a good mattress. This idea is further developed in the Technology section. This section provides the user with an important hint. It shows that Casper is taking a customer-centric approach. The sleep company is not all about selling mattresses through cool marketing campaigns and speedy delivery. They truly want to make our sleep better. It’s not about the products. It’s about the people sleeping on them. 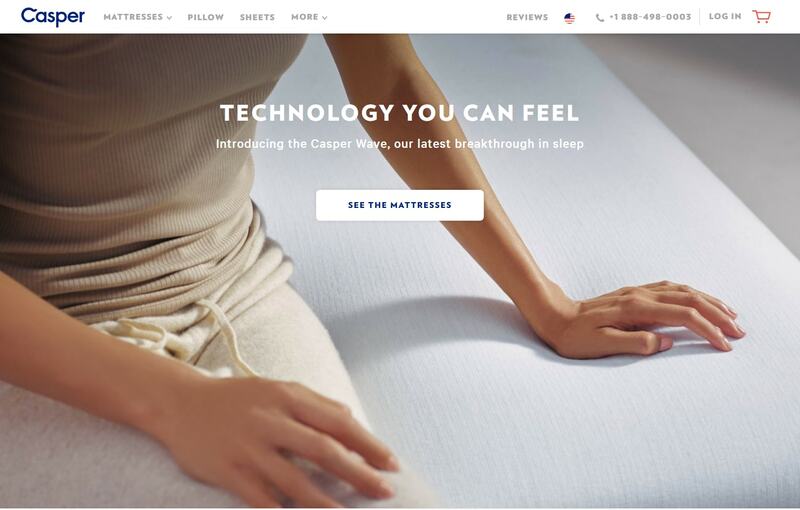 Emphasis on the technology of the mattresses and the “science of sleep” once again shifts the user’s idea of Casper from being a mattress company to being a tech startup. Instead of focusing on the benefits of the product, this section provides users with benefits to their everyday lives. Even though the next part of the home page is about benefits, it’s not about the benefits of the product itself, but the benefits of the customer’s experience with them. This is further proof of their customer-centric approach. 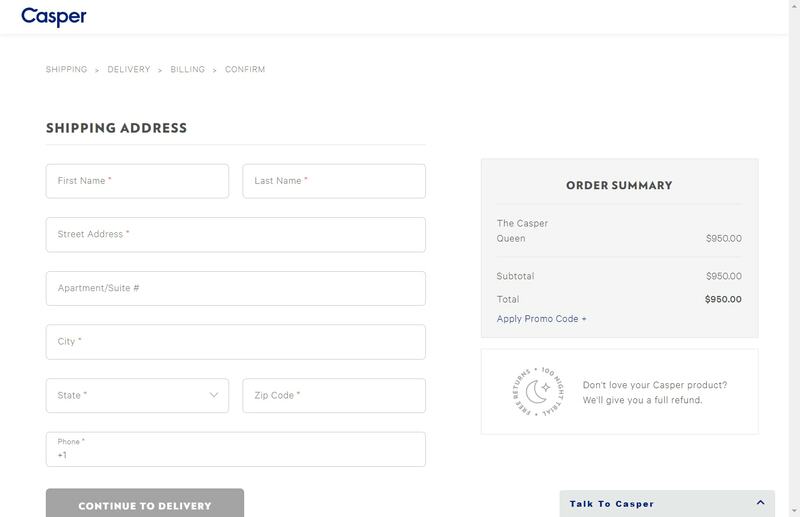 Casper wants to make people’s life easy by providing a risk-free trial, free shipping and returns, and seven-day availability. These benefits are awesome. Basically, I can sleep on a great mattress for three months for FREE, and if I don’t like it, Casper will pick it up directly from my home. 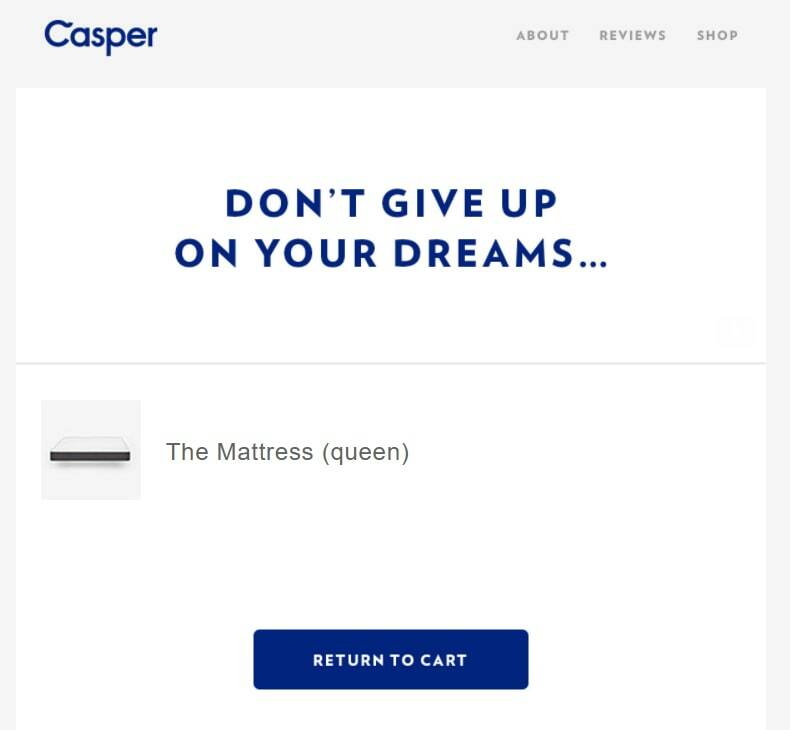 Casper is betting entirely on the fact that customers will love the mattress enough to keep it. 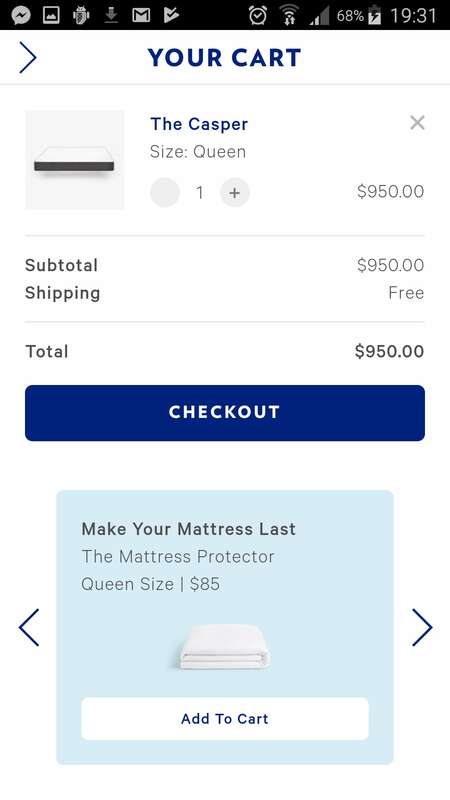 If the user decides to return it, Casper cannot resell the mattress and it’s a complete loss for the company. But if Casper is confident in the product and it really is good, people will stick with it. Casper has recently moved from a delivery-only model to partnering with brick and mortar stores. The company understands that buying mattresses online is still something that is not easy for everyone. 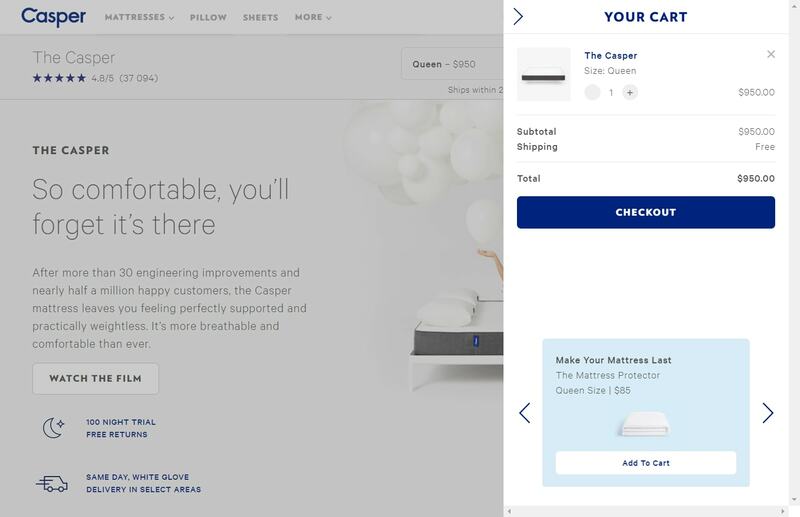 To allow people to test the product before buying, Casper also provides customers with in-store mattresses in addition to their online service. Great move to increase awareness of the product. Reviews are a great way to build user’s trust. By providing real people experiences, users will feel closer to the brand. They will feel more confident to try something that has already been approved by someone else. People trust what other people say. Also, 25,000+ 5-star reviews on Google is a serious mark of great experience. Casper’s footer provides users with other sources of trust. 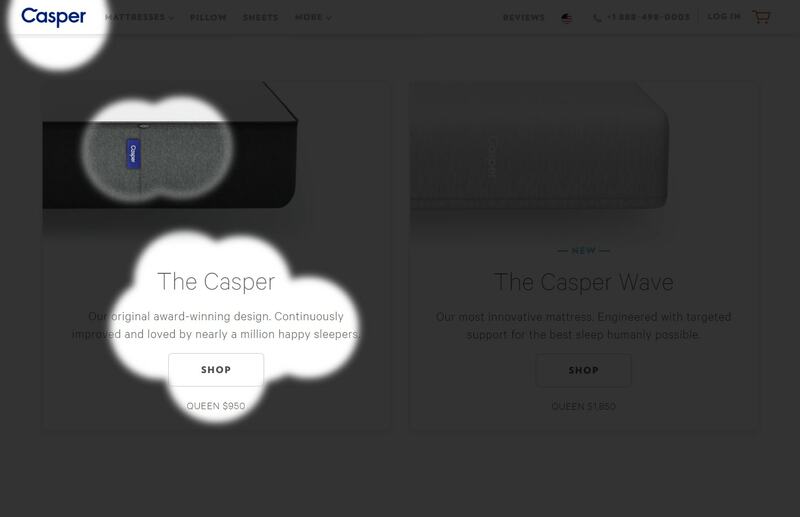 With awards from Fast Company, Time and Big Innovation, Casper shows users that they are for real. Below, we find the internal links. As a very simple website, Casper isn’t in need of a complex internal linking structure. Therefore, providing users with support and store locations site wide is a great way of keeping the users one click away from answers to their questions. To the right is the « subscribe to the newsletter box ». Although it’s great to have this on every page, I would suggest placing it higher up to draw more users’ attention. But we’ll get to that later in the e-mail marketing section. Overall, the home page is very clean and clear. However, Casper should add a call to action button to the bottom of the page to ease the experience and guide users to the next step of the website. Currently, once users have scrolled down to the very bottom of the page and read all the information, they need to scroll back up before interacting with the page and move forward with a purchase. That single action may allow users to have second thoughts and leave. Here’s how the competitor Leesa presents their CTA at the end of their home page. So, after having scrolled back up I am now ready to click on the call to action button and land on the next page of the website experience. What’s so great about Casper’s mattress business is the simplicity of their product offering. Buying a new mattress has always been difficult to do, but finally someone gives us the product we really need. The product page is full of useful information. 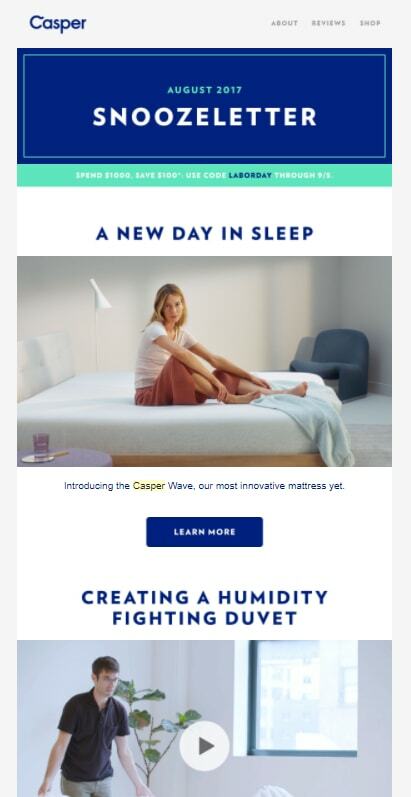 With a reminder of the guarantees, information on the technology of a good mattress and specifications on how the mattress is built, I am once again reminded that Casper is a tech startup with an innovative product. 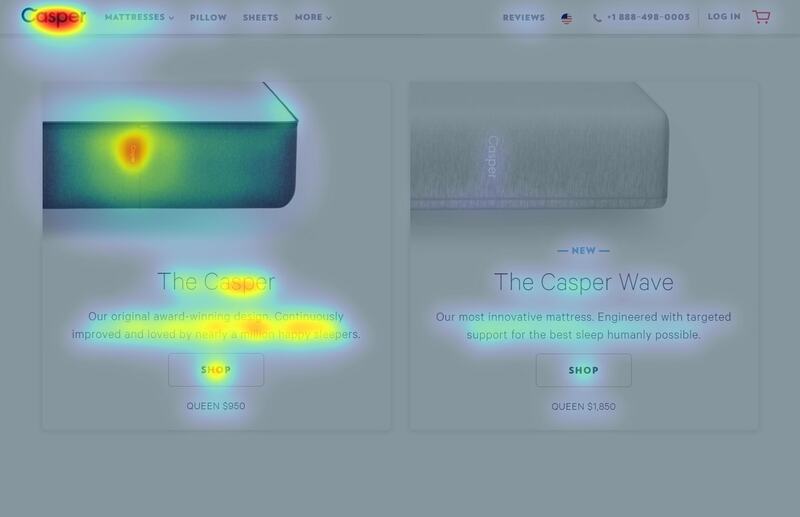 Interestingly, the design of the product section of the page doesn’t draw the attention of the user to their newest product, as seen on the heat and attention maps. 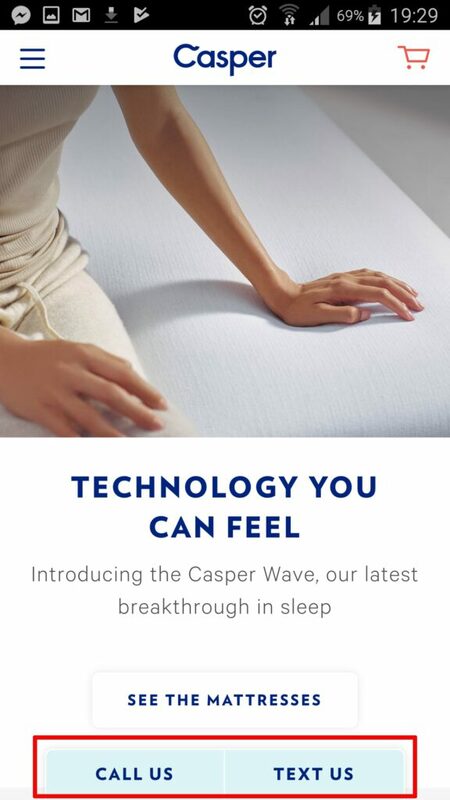 Casper should change this by making their new product, the Wave, more explicit and attractive visually. This is the mattress they now want to sell. But I’m going to go where my eyes draw me, and have a look at the original Casper mattress. 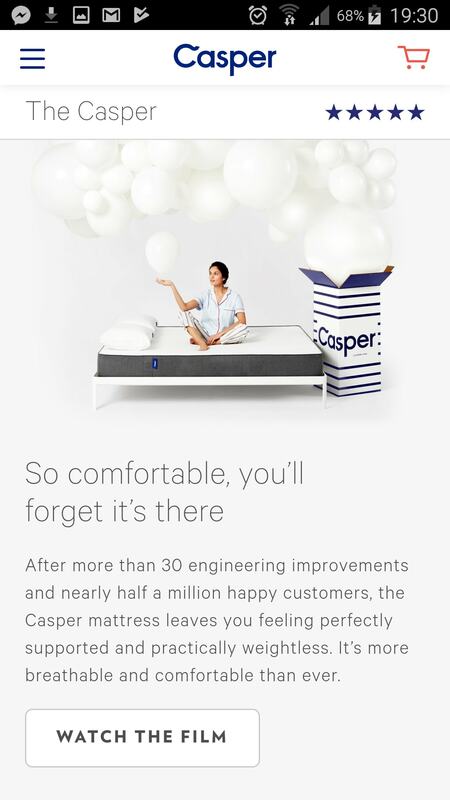 I have now landed on The Casper’s product page. It looks great in terms of design, but is overall a little confusing. 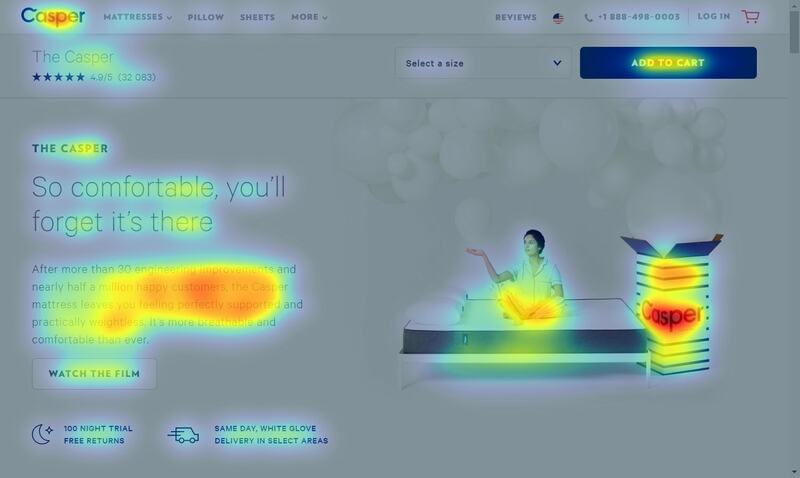 The attention and heat maps show why. When I first land on this page, I’m not sure where to look. At first, my attention is mostly drawn towards the text and the image. It’s only afterwards my eyes are drawn towards the call to action button in the top right hand corner. To make it even more difficult, I have a second call to action button that allows me to watch a video, showcasing the mattress. I understand the idea that Casper has of showcasing the product with an image, some explanatory text and a short video. However, the purpose of this page above the fold is to make users purchase, not to give information. To improve this page above the fold, I would tweak its design. The “Add to cart” button deserves a bigger spot towards the center-right of the page instead of the top corner. Under the image would be a good spot. Guiding users to the next step requires simplicity. Therefore, bringing some of the features lower on the page would create a cleaner, simpler above-the-fold viewing. I already know about the guarantees, so they can move down (where they already appear, meaning they currently appear twice on this page) and the video would be more attractive if it was displayed as a frame, taking up one full section of the page. The “Select a Size” dropdown menu should have an already entered option, such as Queen. The users should have that decision pre-made for them. If they want to change, fine. But Queen is the standard. These 4 tweaks would make the experience easier, without removing any value to the page. If fact, it would seriously increase the CTR. Here’s the Australian copycat, Koala’s product page, which gives a good example of a great, simple and direct design. It’s simple, and explicit. The only thing I need to do when landing on this page is click the “Add to Cart” button. Making pages easier and guiding people forward will make them purchase more. But let’s move on to Casper’s Basket. I love the sliding Basket. I think it’s a great way of continuing the customer experience. 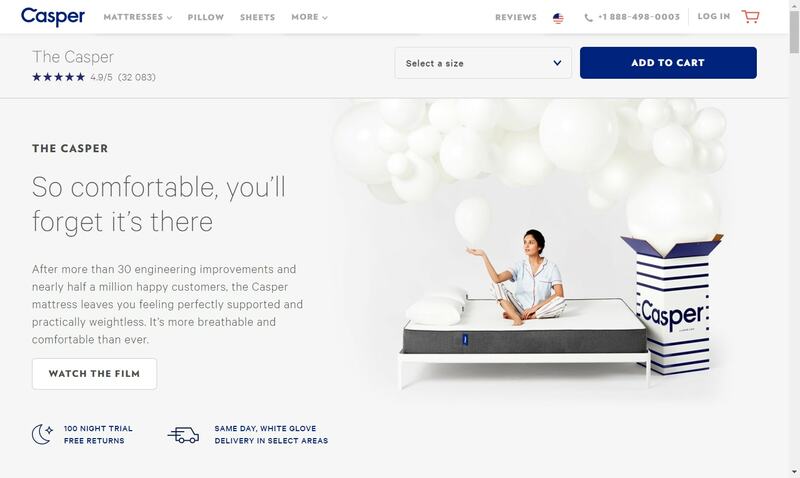 Not much to say here, as I think Casper has done great in this step of the process, with a clear CTA and an upsell option at the bottom promoting other products to go along with the mattress. 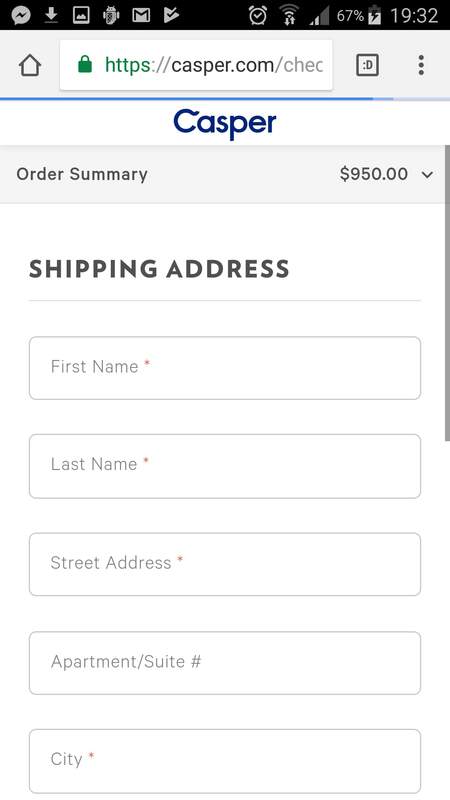 The Checkout page is built in two steps. At first, I am asked for my e-mail address. This is great, as it will allow Casper to build their e-mail list for promotions and cart abandonment strategies. As you can see in the following picture, Casper sent me an email very quickly after I left the page without finalising my purchase. As a second step, I need to enter my information for the shipping. 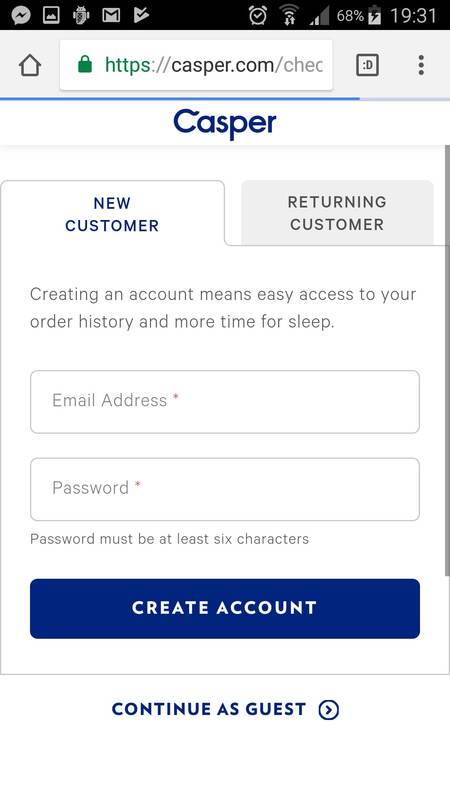 As a standard form, Casper has done a good job keeping this step easy and straight to the point, without any distractions.I don’t even need to create an account to continue with my purchase, as I can “continue as guest” and provide only my e-mail. Let’s go through how this same user experience feels on mobile. In 2016, mobile traffic took over desktop traffic globally. That’s how important it is to have a mobile-friendly website. Heck, it’s now even a Google ranking factor! As a matter of fact, many companies today design their websites for mobile before designing it for desktop, taking the reverse approach. If more users are coming from mobile, it makes total sense. Casper hasn’t done this. But they’ve adapted their website to mobile for a great mobile experience. Just like on Desktop, the mobile home page is very neat. But Casper has something different about this mobile version, which lies at the bottom of the interface. The page has “Call Us” and “Text Us” buttons on a lower sticky menu, allowing users to very easily get in touch with Casper while navigating the home page. At any stage of the page’s experience, users can decide to contact the company through these buttons to ask any questions they might have. This simple but very useful feature bridges the gap between the users and the company’s people. Forget about searching for phone numbers on contact pages, it’s right there when you need it! Once again, Casper shows a clear focus on simplicity and also full availability for their customers. However, this awesome feature disappears when moving on from the home page. Although it could be distracting users from purchasing, I would love to see these buttons appear on all pages until the Checkout. They would provide easy, accessible support and help for users at every stage of the mobile experience. A source of trust and reliability. The mobile product page is very similar to the desktop version. The page is simple, easy to navigate and full of useful information. And although it’s quite clear that Casper designed the website for desktop, its pages have been fully mobile optimised. What’s missing here is a CTA button above the fold. Scrolling is certainly more intuitive on mobile than on desktop, but a clear call to action above the fold would increase CTR and guide users through the purchase process. 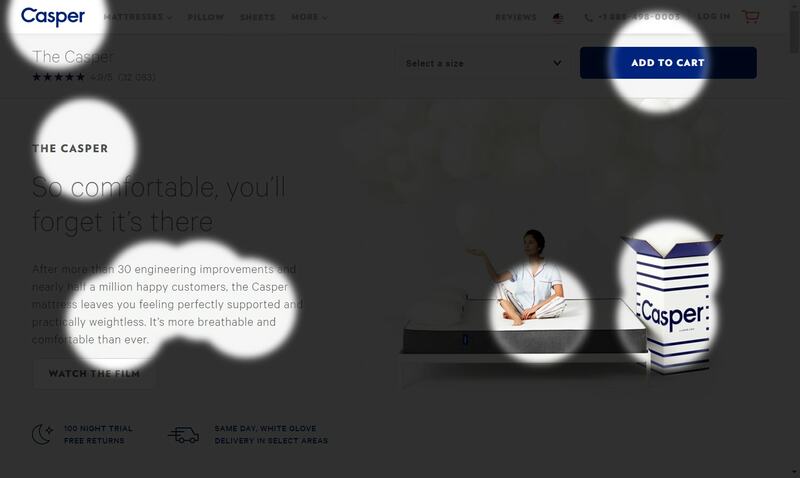 The Casper mattress mobile page has similar issues to its desktop counterpart. Instead of offering users to watch a film, the CTA button above the fold should prompt users to go forward with the purchase. Exchanging the “Watch the film” button with an “Add to cart” button would simplify the user experience and guide users forward with the purchase. However, the mobile version has an upgrade compared to the desktop version: the size is preselected for the user with “Queen”, as suggested earlier. The mobile version of the basket is perfect. Not much to say here, as everything is above the fold and as clear as it gets. 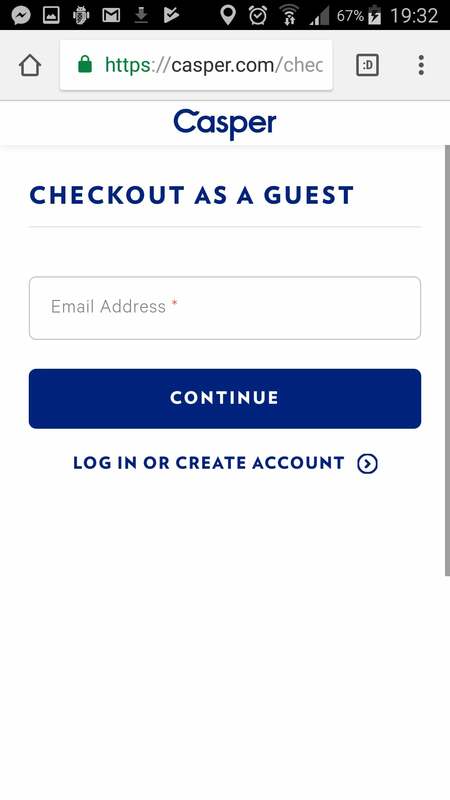 Just like the desktop version, Casper’s mobile checkout is in two distinct steps, each one with its important purpose. These pages are easy to navigate and the form has a good size for mobile. Not much to say here either, as Casper has perfectly adapted its great desktop checkout. Overall, Casper has a great looking website. But to increase their CTR and number of buyers, a few simple Conversion Rate Optimisation tactics should be implemented to their pages. Casper makes such an enormous effort in their branding and advertising that it’s really a shame to have people landing on their website and not converting. But to allow users to experience the website, Casper first needs to bring people to it. Those are followed by Social, Display (Ads and Remarketing), Links and E-mail marketing. Almost 40% of Casper’s total traffic comes from Search, which is a great stat. 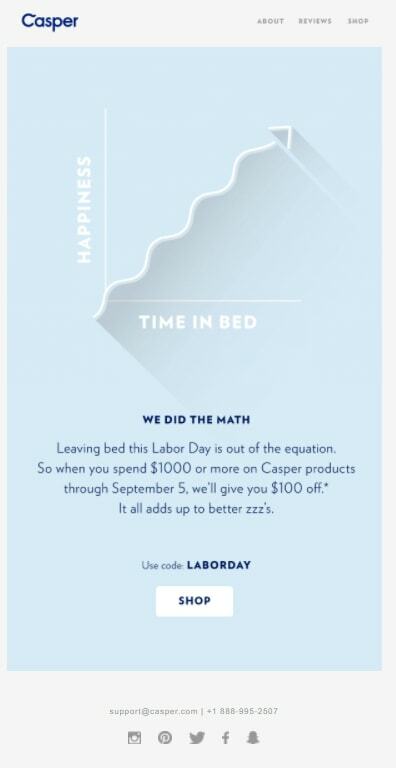 22% of traffic comes from Direct traffic, mainly thanks to Casper’s offline marketing efforts and returning visitors. Let’s go over these sources one by one. 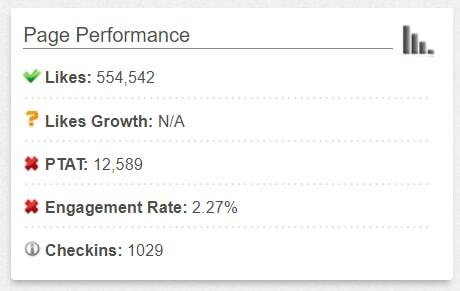 Casper has an incredible 2.9 million visitors per month. Remember, this is a mattress company. On average, users spend almost 3 minutes on the website, with 3 page views and a bounce rate of only 43.62%. 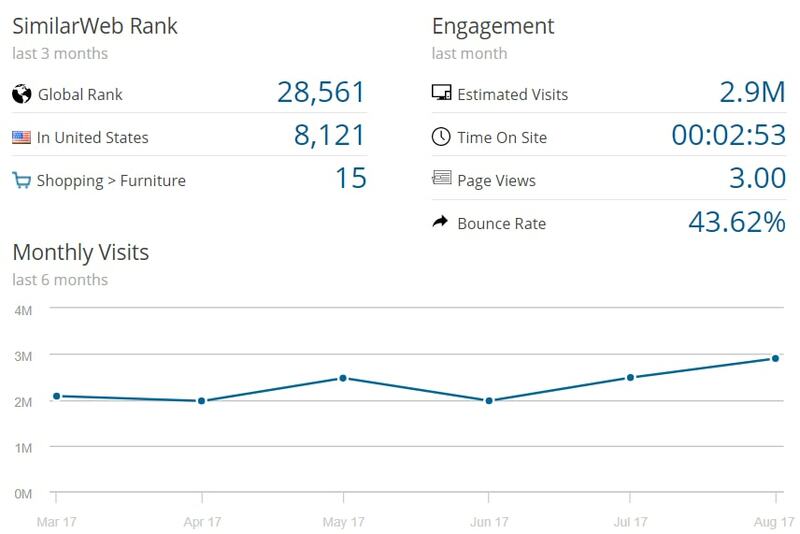 These stats show that the website is engaging and interactive. Users enjoy navigating through the different pages. According to SEMRush, Casper ranks for 36.3K keywords on the US market, their largest market by far. In Australia, that number is still high with 4.1k keywords. The website ranks very well for high-quality keywords. 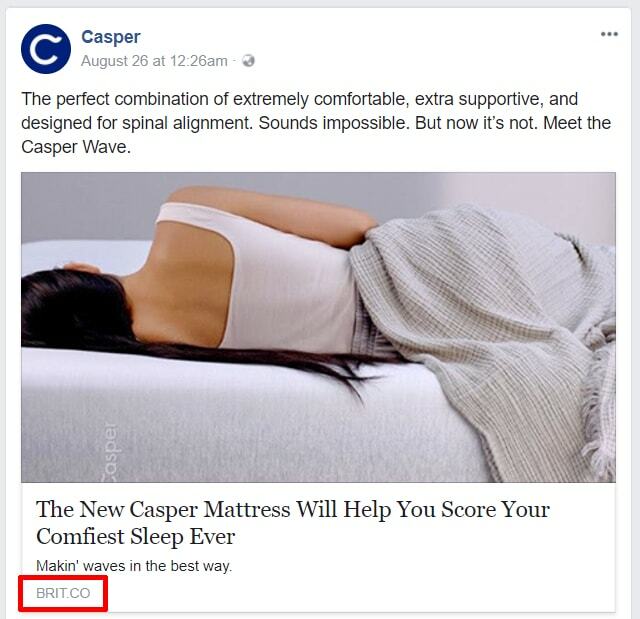 In the US, Casper ranks in position 3 for the keyword “mattress”, with a total search volume of 165,000 for that keyword alone. 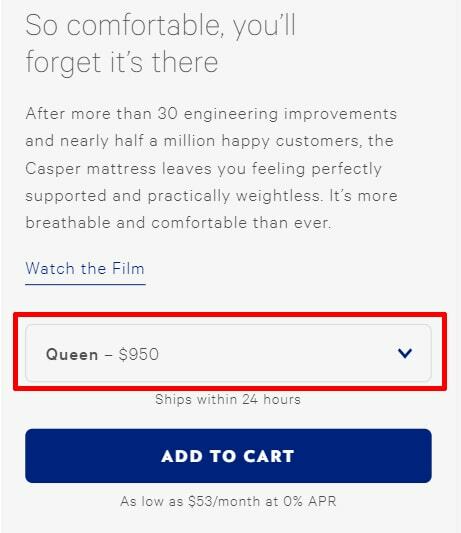 “Mattress sizes” also has a high search volume of 65,000, where Casper ranks #3. However, Casper still has huge opportunity for growth with their bi-products. They only rank #30 for “sheets” (135,000 SV) and #48 for “duvet” (60,500 SV). They already rank #6 for “pillows” (40,500 SV) and should follow that example. And even though Casper ranks for a large amount of keywords, most of their higher rankings are related to their product. 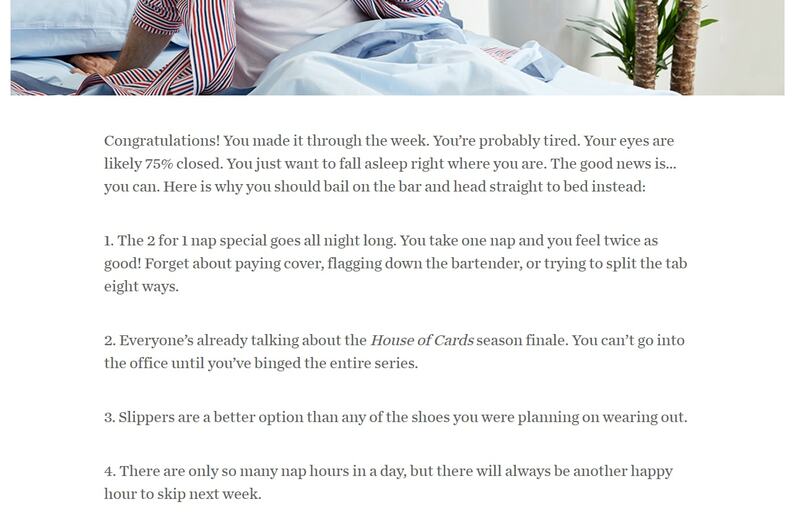 The website still lacks higher rankings for generic keywords around the subject of sleep. Which brings me to a huge area of opportunity for Casper. Casper has a blog. Any successful online business requires having one. But how a business manages its blog is often a deciding factor over the online presence of their website. And Casper still has a way to go in their development. The blog home page and overall design has a minimalistic feel, keeping to the same template as the main website. But before getting into the content itself, it’s important to note that Casper still keeps their blog on the subdomain blog.casper.com. We have discussed this issue in previous articles and uncovered that this is not ideal for rankings. The first thing Casper should do here to optimise their website and get a ranking boost is to migrate their subdomain to the subfolder casper.com/blog. This will have an immediate impact on rankings for a large array of keywords. Let’s now have a look at some of their top performing content pieces. Let me explain why.Although these pieces have a decent amount of total shares on social media, the articles deserve a serious upgrade. Let’s have a look at the top performing blog post, “Exploring the Science of Sleeping Hot”. But the article itself lacks engagement. Even though the content is interesting and gives the required information, there is nothing more than a couple of visual graphs to engage with the reader. I would have loved a little video, some images, more questions…I really like the subject. It’s interesting, and I want to learn more about sleeping hot when I read this headline. I understand why people shared it, because it’s knowledge that people are after. Making the article more visual and interactive will allow users to relate to the content and understand it even more. Add images. For example, a short infographic comparing the effects of Casper sheets and other sheets on our sleep, or pictures of the experiment. Add a short video, explaining the technology and providing visual and audio content. Ask more questions to users, helping them identifying with the experiment and understanding the results. Help users relate to the issue at hand. Add a quiz, an interactive heat map, or other interactive content for the user to engage with. These are all recommendations that would take this Casper article from a simple article about sleeping hot to a 10x content piece about the subject. The subject is once again interesting. 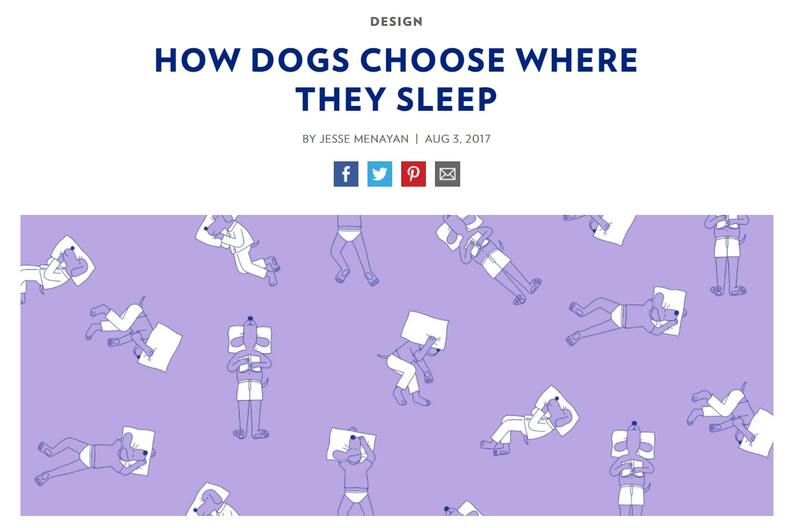 The tone in which the article is written is great; it’s an easy read and the given information teaches me something about dog’s sleep. It also gives me interesting insights on how Casper’s engineers think about their products. The textual content itself is good. But that’s all there is. Just a big block of text. Recommendations mentioned earlier also apply to this article. The content has a strong foundation, but could easily reach a higher quality status by adding some interactive features. And as I go further into the articles available on the blog, I realize that they apply to pretty much all the articles. At some point, this strategy will have to shift towards qualitative content to grow the blog. To make their articles more engaging, they must spend more time producing in-depth, high quality pieces.Casper is still a young company, and building their blog is most probably not their number 1 priority. Currently, it looks like their strategy is to get maximum content out on their blog quickly. Quantity over quality. With a great content marketing strategy, enhancing the blog would raise awareness of Casper along with their strong offline marketing strategies. They could grow their brand and become an authority in the “sleeping market” online. With good content, Casper would increase their rankings for more generic keywords and could target people’s search terms by answering their questions. 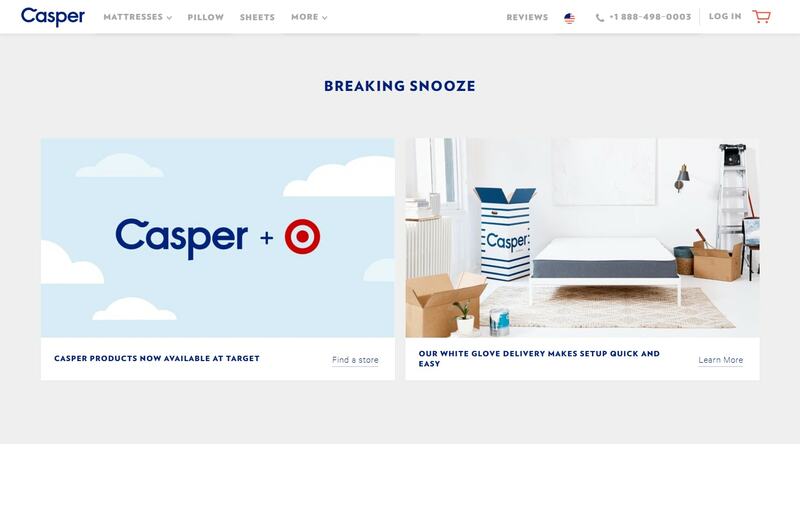 Through Direct Response Marketing, Casper could cover subjects that REALLY interest users, prompting them to engage with the brand. This takes time and hard work, but would ultimately be very beneficial for Casper, both as a brand and for their online presence. Online, great content would also help the website in another critical area for good rankings and larger amounts of traffic. Backlinks. Great content prompts other websites and blogs to link to the website, a strong signal of authority for Google. Let’s have a look at Casper’s current backlink profile and how they could improve. Casper has a very solid 5.43k referring domains. And even though this number is high, Casper’s current website status has the ability to bring in so much more. With the amount of traffic the website generates and the buzz around the brand, the number of referring domains still has great room for improvement. 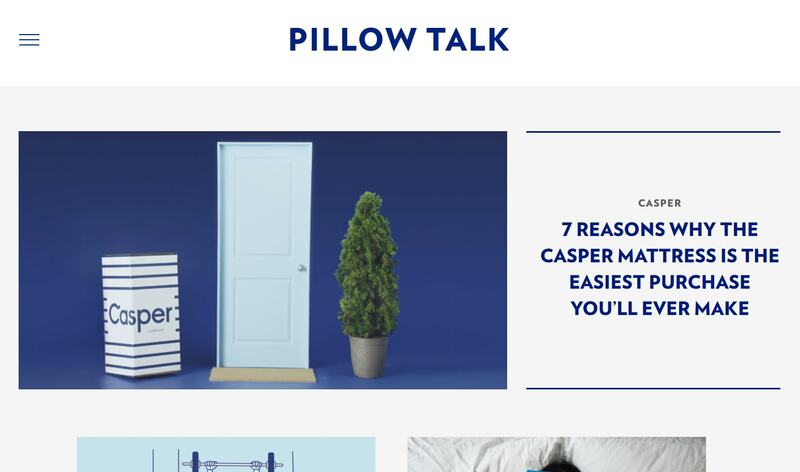 Through Content Marketing and Social Media strategies, Casper would create more engagement and discussion around their business, their products, and their innovations. This would bring a whole new array of visitors, coming from various sources such as their social pages or referrals. But in terms of building backlinks, Casper is on the right track, as seen on the graph below. Growing a strong backlink profile takes time. There’s no way around it. And as we can see, Casper has a solidly growing referring domains graph. Over the last year, their numbers have almost doubled. This is great, and the brand should keep doing what they’re doing. Together, a strong Content Marketing and Social Media strategy would lead to more inbound links, increasing rankings, authority, and referral traffic. 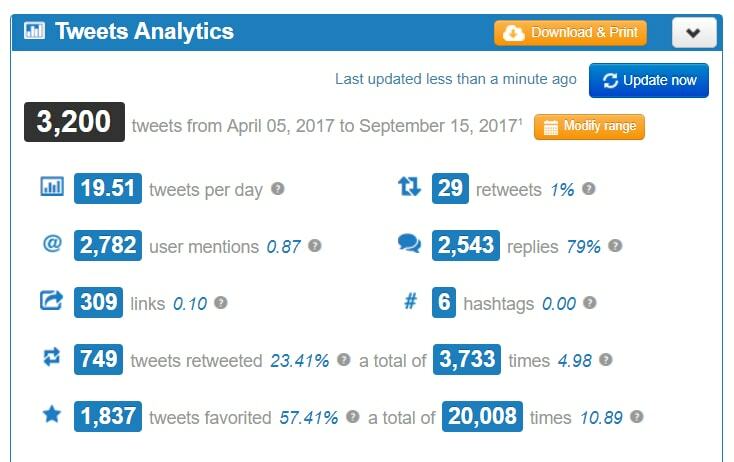 But before we get to analysing the Referral traffic (only their 4th traffic source), let’s have a look at their Social Media strategy. Social Media is Casper’s third biggest traffic source. Users arrive from various social platforms, with the top 5 listed on the image above. 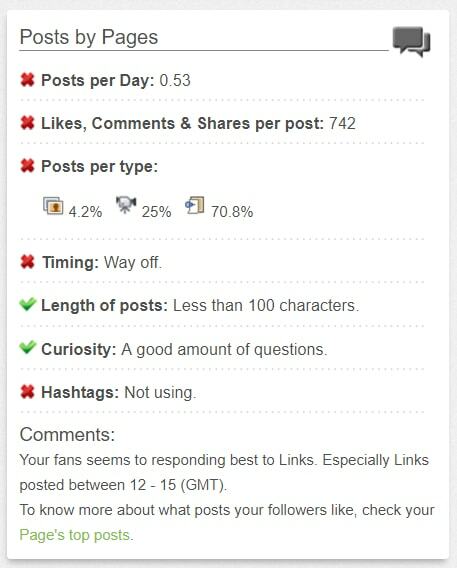 Let’s go over these channels one by one and analyse how they manage their social presence. 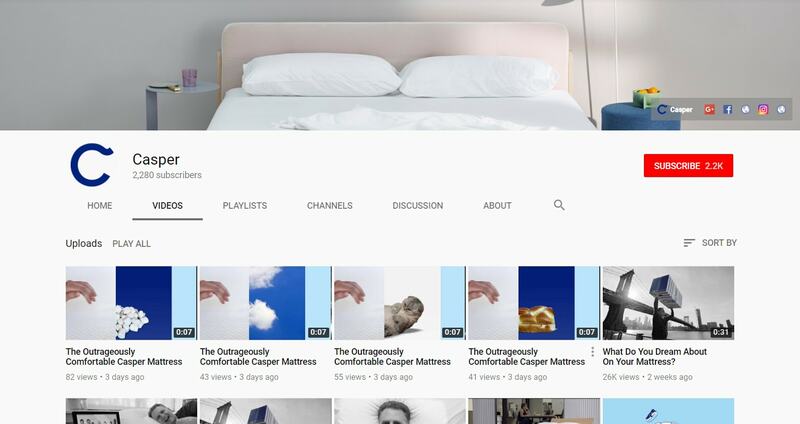 Casper’s YouTube channel is mainly composed of their ad videos. Some of these have millions of views, which is quite impressive. However, the channel only has 2.2k subscribers, which is an area Casper can work on. Their videos also don’t contain any links redirecting to the website. This is a shame as it would bring in even more visitors from YouTube. Video advertising has worked well for Casper in the past, and they should most definitely continue with this strategy. The ads have worked very well both online and on TV with their innovative videos, but they should capitalize on bringing their viewers to the website by linking directly to their product page from the videos, just like Grammarly does. With over 190k visitors coming from Facebook, you would expect Casper to have a very strong Facebook page. But with “only” 559k page likes, their page still has great room for improvement. I was expecting them to have many more than this. One could argue that the page is still very young. And obviously, 550k+ is still quite a high number. But nothing compared to Grammarly’s 7 million, for example. Let’s look at some of their performance stats. With a low 2.2% engagement rate, Casper’s shared content doesn’t resonate enough with their audience. And with only 1 post every 2 days on average, users don’t get enough chances to engage with the page. Casper posts 71% of links on their page, which is very unbalanced. And when taking a closer look at these links, I realise that the page mainly posts links to other websites. Although these links direct to articles talking about Casper, it would make more sense for the page to send users to Casper’s own website or blog, drawing more potential customers. This shows me that the Content Marketing strategy and Social Media strategy are not synchronised. Instead of creating quality content on the blog that would lead to interesting posts on Social Media and draw more users to the website, Casper isn’t sharing their own content at all and relies on good publicity from other authoritative brands. These articles are surely flattering and very good for Casper’s brand recognition, but it would be much more interesting to bring the same users to Casper’s website instead of someone else’s. 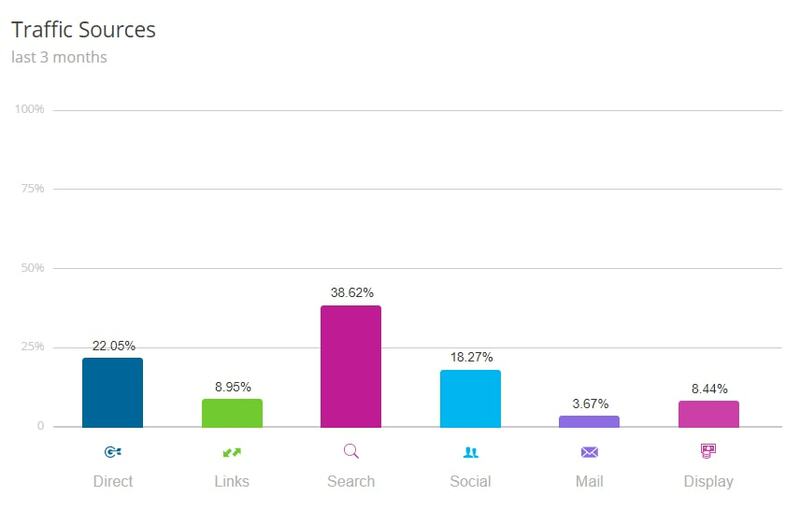 More users coming to the website through Social Media leads to more remarketing and email marketing possibilities, and overall more customers and sales. Sending these users to other websites loses them completely. Casper should take the following steps to upgrade their Facebook page and send more traffic to their website. Post more pictures and images. These can be pictures of their products, their technology, their team, their events…. Or any other interesting subject about the brand or related subjects and themes. Sync Content strategy and Social strategy. Create engaging content on the blog and share these posts on Facebook. Bring Facebook users to their own website and not somewhere else. And don’t get me wrong, I’m not saying Casper should stop sharing those links to other websites. They are great articles to share! But the brand really needs to focus more on bringing people to their own website and blog to bring in more potential customers. What I love about their Pinterest is the variety. 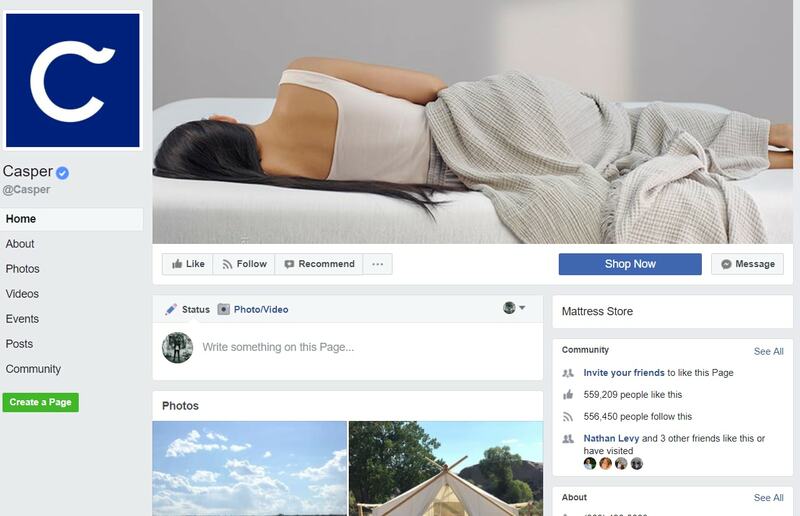 This profile shows that Casper revolves around the business of sleep and not only mattresses.Casper has a low following base of 6.2k on Pinterest but is still attracting quite a few visitors from the social platform. 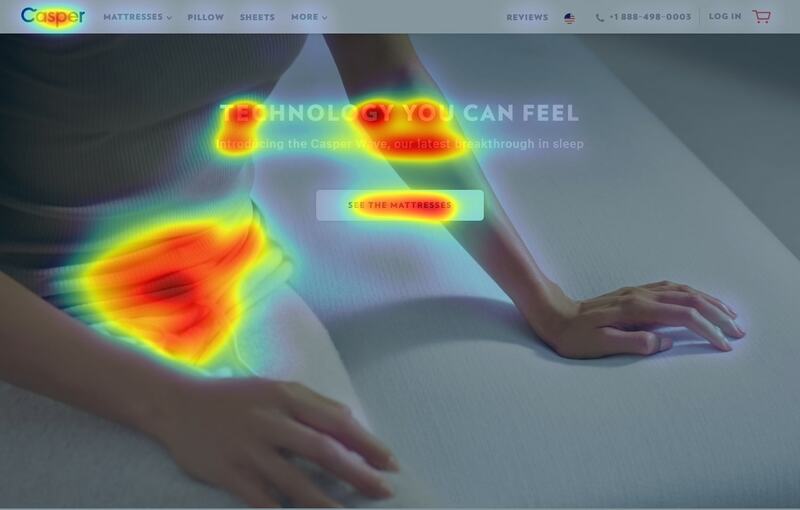 With boards about pyjamas, beds, breakfasts and “lazy snacks”, Casper shows that it knows the type of audience present on this platform. Reddit is an interesting platform that we haven’t covered in previous articles. Having users coming from Reddit means that there is an intrigue around the product. People are talking about it, asking questions and looking for advice from other people. This is great for Casper, as it shows people have seen their advertisements and are showing interest towards the brand. As always on Reddit, not all comments are flattering for Casper. But as they say, any publicity is good publicity. Casper is much more active on Twitter than on Facebook, posting almost 20 times per day. That’s a lot of tweets. Let’s have a closer look at their Twitter stats. Casper posts a lot. But with only 23.4% of retweets and 57.4% of tweets favorited, their content doesn’t seem to resonate enough with their audience. Casper could clearly improve in this area. 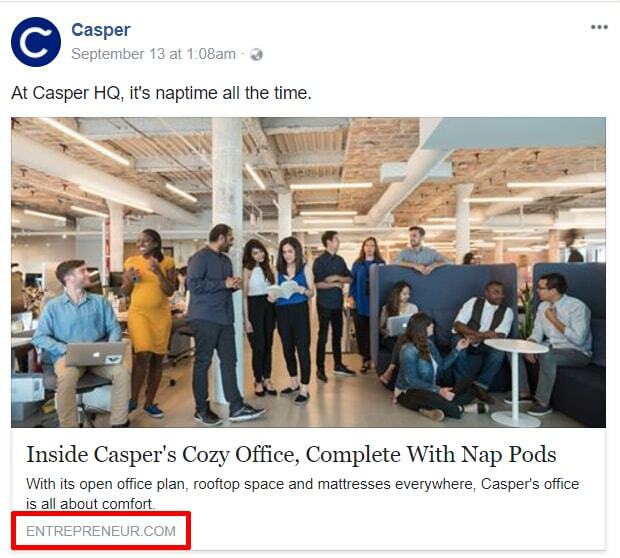 Just like on Facebook, Casper is also tweeting a lot of links to other websites instead of their own. This is lost potential traffic for Casper, as they should aim to bring more users from social media directly to their domain. Overall, the Twitter account is very active but still has a huge potential for growth. Social Media is an obvious area Casper could improve on. 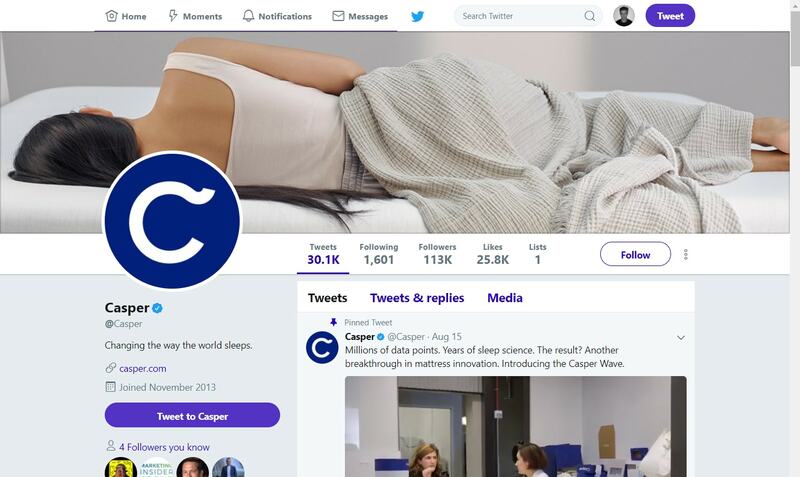 As Casper seems to post a lot on Twitter and have updated accounts across different platforms, the company has resources available to create a top-notch Social strategy. By testing new ways of interacting with their fans, communicating and engaging with their audience and linking more to their own website, Casper could create a large base of loyal customers, ultimately increasing sales and revenue. But having all these other websites talking about Casper brings in something else. Referral Traffic. About 260k users land on Casper’s website from referrals. That’s a sizeable chunk of people entering Casper’s domain from other people talking about them. 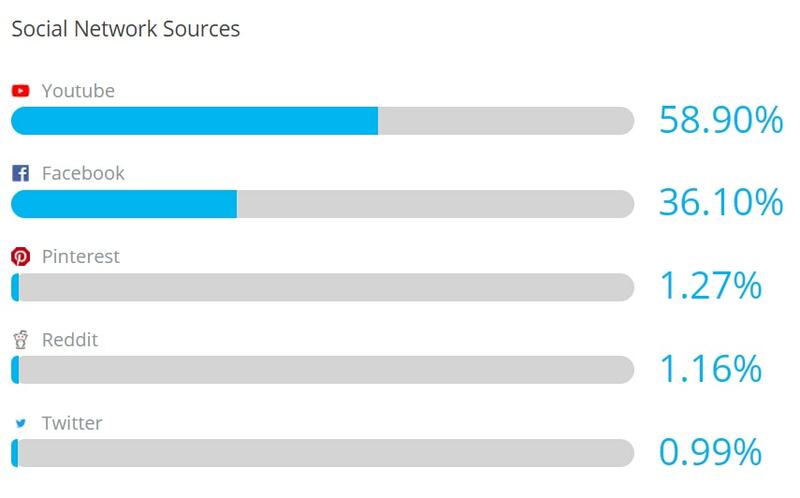 Mostly, these users come from reading articles about Casper on websites such as the Independent.co.uk or Fivethirtyeight.com. But they also come from other interesting websites. As Casper wants to be a technology innovator and change our lives, the company is looking to incorporate its product into our lifestyle. Casper wants people to think it’s cool to have a Casper. 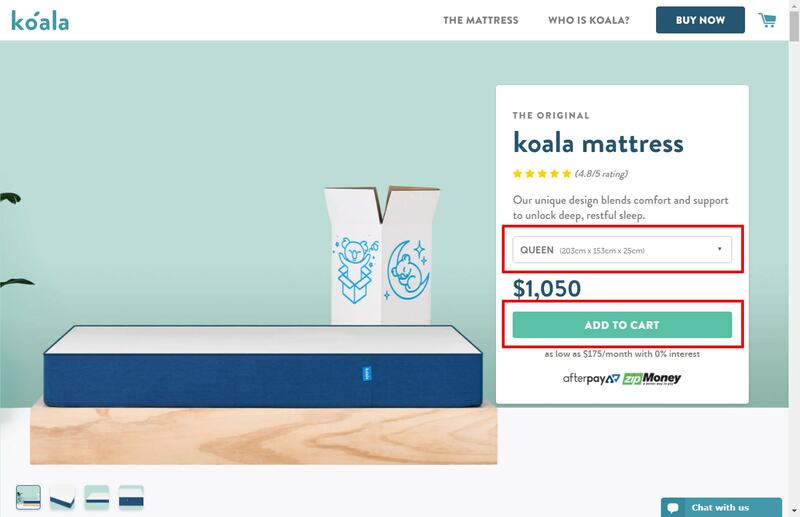 That’s why the brand has put up advertisements on websites such as Uncrate.com, a popular buyer’s guide for men, or Sleepopolis.com, a mattress comparator website. Regarding Sleepopolis, Casper took it even further and actually provided financial support for the company to be acquired by JAKK Media in July. 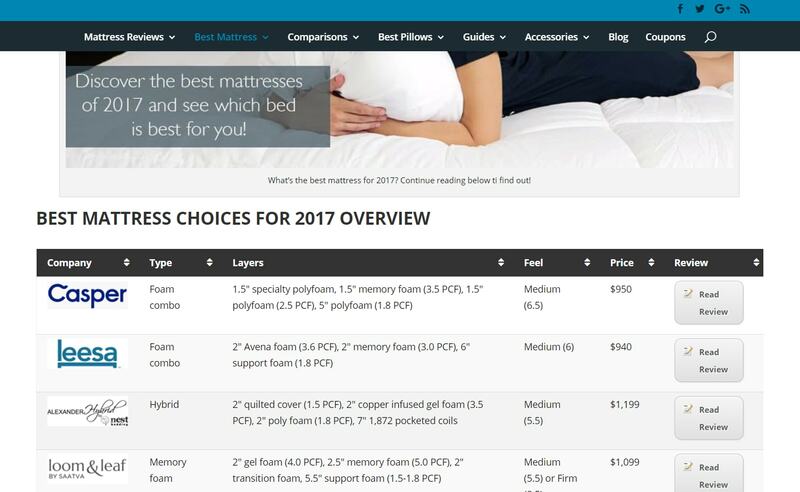 It’s no surprise then, to see the mattress at the top of the “Best Mattress 2017” list, ahead of its direct competitor Leesa. Advertising is something that Casper is very good at. They have created awesome subway ads and TV spots, creating a very positive feeling around the brand. But advertising online is a whole different story. Let’s have a look at Casper’s current Paid Marketing strategy. After having spent the last few weeks going over Casper’s website, I was expecting to be heavily targeted with remarketing ads. In fact, I have been retargeted more by their Australian competitor, Koala, whose website I have visited only a few times. Remarketing is a very interesting channel as the display ads are relatively cheap and bring quality traffic to the website. As these users already know about the brand, there is an increased chance of them turning into customers. Not using remarketing ads properly could lose enormous amounts of potential sales for Casper. The company should really assess their strategy and increase their efforts in remarketing ads to dramatically increase the number of customers. According to Ahrefs, Casper gets a strong 299k visitors globally from Google Ads. 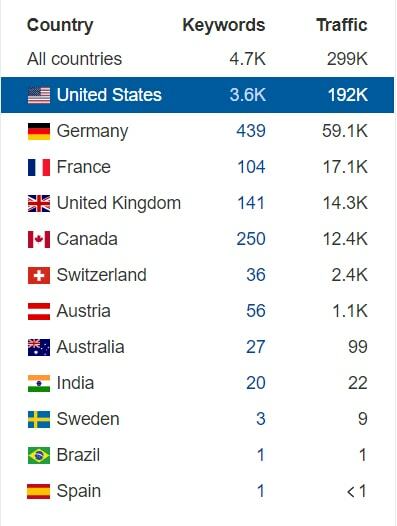 64% of this traffic comes from the US, where the company bids on 2.4k keywords. With a website in markets like Germany, the UK or France, Adwords is still a huge area of opportunity for Casper. In these markets, Casper only bids on 684 keywords, combined. But let’s have a look at what their ads look like in the US. 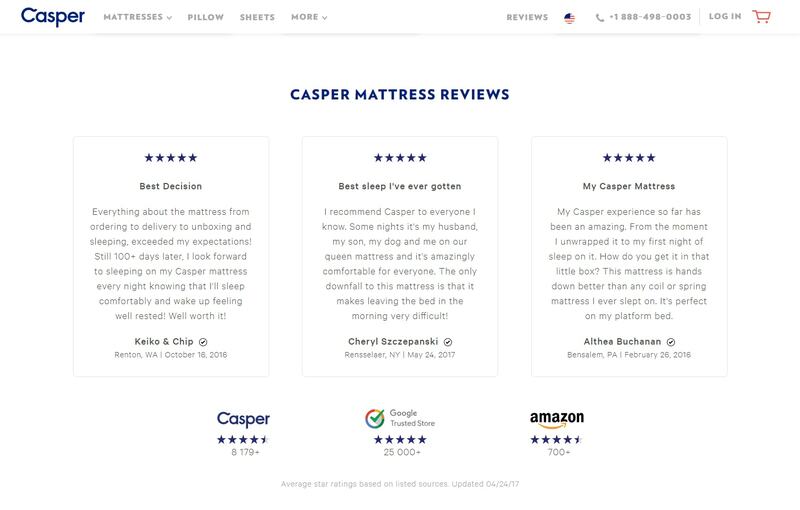 Their H1, H2 and descriptions are very well set-up, showcasing benefits of their brand like “Over 20,000 5-Star Reviews”, “100 Night Money Back Guarantee” and “Ships Free + 100 Night In-Home Trial” or call to actions such as “See Why Everyone Loves the Casper Mattress”.Casper’s Google ads are looking great on the US market. I’m not surprised that the top ads bring in over 100k users per month. The headlines are catchy and draw attention. Casper should really use the same strategy in other markets to increase their traffic and sales overseas. Overall, Paid Marketing is still an area of opportunity for Casper. They have some great Google Ads but there is still a lot of opportunity for the company going forward. This takes us to the last traffic source to analyse. And it’s probably the most interesting. Email marketing has been a very trendy subject in the digital marketing world lately. And rightfully so. Emails have huge potential to bring in new customers. With strong email sequences and newsletters, users have a great chance to return to the website to buy products. It’s a great way to keep users in the loop. Casper has good email marketing in place. I subscribed to their newsletter and have since received a few great emails prompting me to interact and return to the website. When I give my email to Casper, it shows the company that I want to know more about their products and keep in touch with the business. I’m interested in what they’re doing and I want to stay informed.What’s so great about email is that it allows interaction directly with the users. This is huge as that state of mind allows Casper to throw promotions, products and content to my inbox, prompting me to return to the website to hopefully buy something. Casper is doing well promoting products and giving out seasonal promotions. But to enhance Casper’s email marketing strategy, I will once again go back to Content Marketing and Social Media. 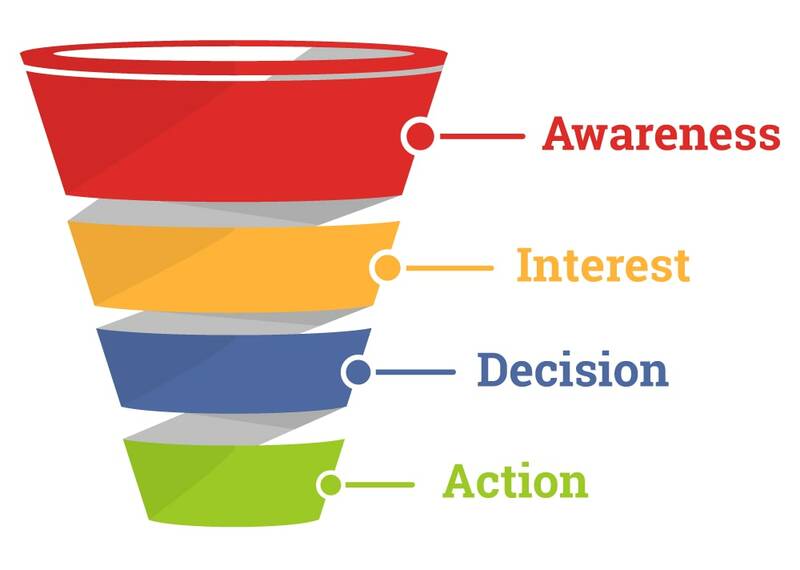 Content and Social are part of the Awareness section of a sales funnel. These channels are part of the first touch point users have with the brand. They are a place where brands make people aware of what they are and what benefits they bring. Email marketing strategies are part of the second section of the funnel, Interest. As people are already aware of the brand and have given their email, the strategy shifts from making them understand what the brand is to making them want to convert. By giving out their email, users show interest. It’s now up to the brand to help them make a decision and take action. To bring users into the sales funnel, it is important to have a strong Content Marketing and Social Media strategy, bringing new users to the website. But what should we do with these users once they are in our space? Make sure they give their email! By collecting new user’s emails, the brand has the possibility to create email sequences, bringing these users back to the website and increasing their knowledge and trust of the brand. 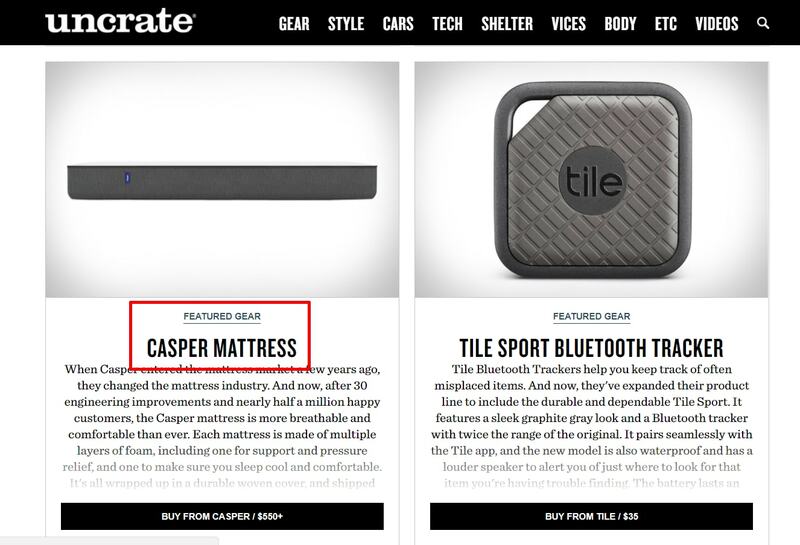 Ultimately, when these users will think about buying a mattress, they’ll think about Casper. So how should Casper collect more emails to add to their emailing list? Casper has to bring people to the website. This is done through strong Content Marketing and Social Media strategies, as already discussed. Casper already has 2.9 million monthly visitors coming to the website, a strong base to build on. However, it’s still unknown how many of these are new visitors vs. returning visitors. Users must have the possibility to add their email. This is through a “Subscribe to the newsletter” box, for example. When looking at the Casper blog, there is nowhere I can subscribe for a newsletter. On the main website, there is a box in the footer, but nowhere higher on the page. The user has to effectively enter the email address and subscribe. For users to give out their emails, they need a very good reason. Why would I give my email to Casper if I don’t gain anything out of it? Users don’t want anyone to spam their inboxes with useless information. When people come to the blog, they need to have a reason to give their email. The first reason is good content. Creating good content will make people want to give their email to get more of it. 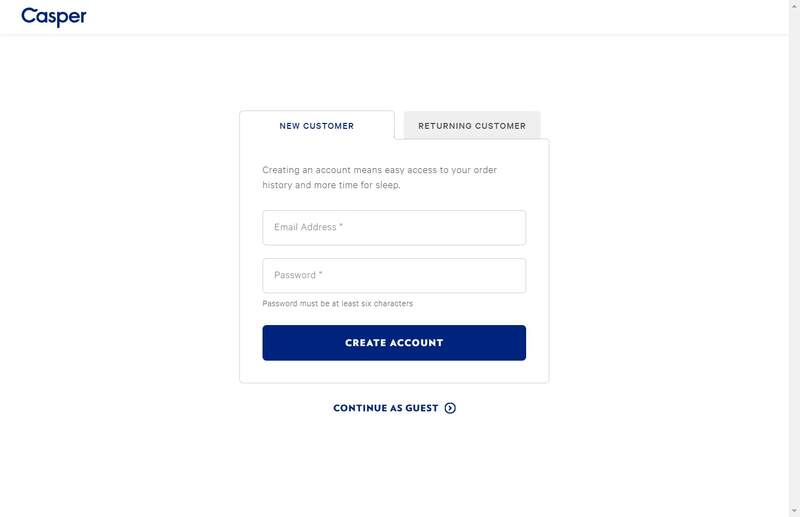 To give their email, users need a place where they can enter it. Casper should insert a “subscribe to newsletter” box on every page of the blog. The higher on the page, the better. 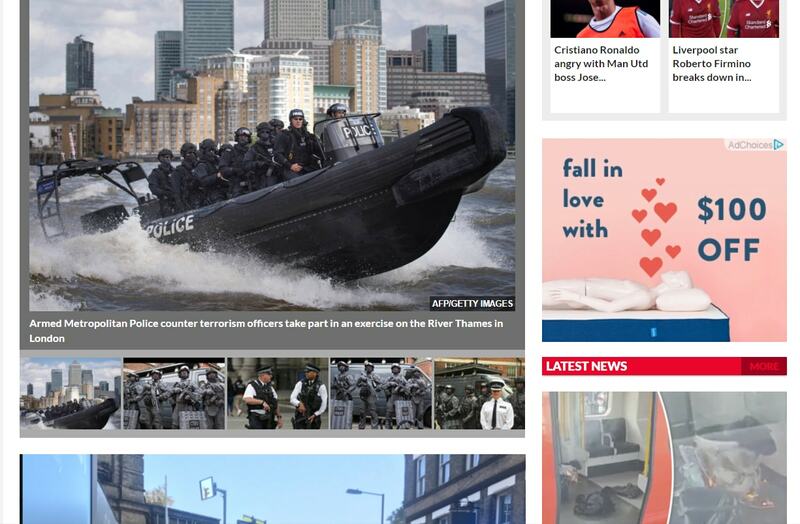 The sidebar is usually a good position. On the main website, users should be prompted more often to give their email. This is done by offering something is exchange, such as discounts or a high quality e-book to download, for example. Place the existing “subscribe to a newsletter” box higher on pages, other than just in the footer. Casper is still a young company with huge opportunity for growth. Their website is great and the business model is very impressive, however there is still areas for improvement in their digital marketing strategy. With ample opportunity for Casper to improve, building on their solid base in the right way will allow the brand to reach new heights and stay on top of the “sleeping” market. Great analysis on Caspers. Moving a mattress company from traditional offline retail to online requires a big shift in mindset which I think only startups can only do. If you are in a Fortune500 or ASX200 company, management would think you’re crazy. Sabri- very interesting concepts. I never knew the principle as to how attention is drawn where. I want to get a business cranking, but am currently put off by several companies failing to successfully market for me. If someone could convince me of their worth- prove to me that it works- I happily would pay good money. Casper understand this- try it and hey the customer is convinced. If you could do this for me- I would gladly pay according to results. My website is no good- I am promised the earth, but have lost my faith in marketing people. If you could reverse that and prove your worth, I would never go elsewhere. Fantastic case study Sabri – well done mate! Some brilliant takeaways Sabri, greatly appreciated! Agree best written case study ive sern in a while kudos ! That was an excellent read! Lengthy but worth it. I did not expect such a comprehensive case study when clicking on the link. Great work with the details mate.